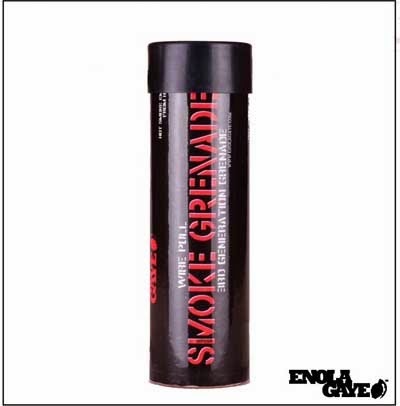 We stock ENOLA GAYE's most advanced smoke grenade; developed around a military grade ignition system, this new WIRE PULL smoke grenade is simple yet effective and produces a high volume of smoke for approximately 90 seconds. 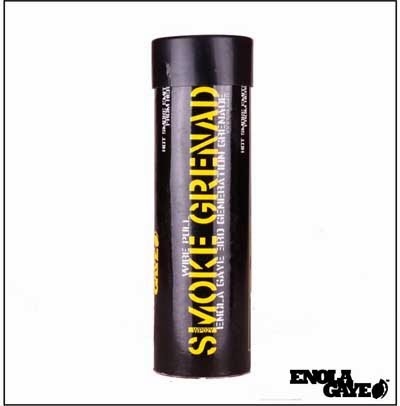 This Smoke Grenade is ideal for paintball and airsoft game scenarios where cover is sparse & the opposition may have the upper hand. 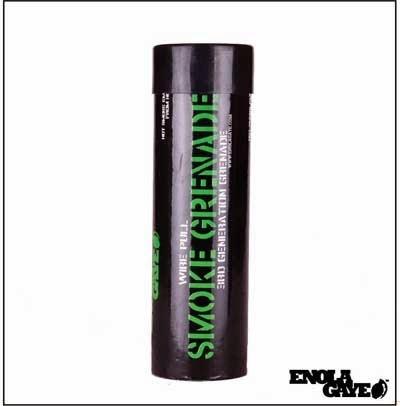 Deploy this smoke grenade and you can flip the tables creating cover and obscuring the opposition’s visibility. Sport Smoke's Tactical Smoke Grenade (TSG) is designed to meet the extreme needs of today's paintball and airsoft enthusiasts. 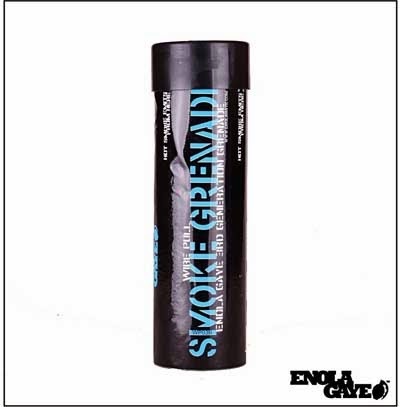 These high quality paintball & airsoft smoke grenades are very affordable, producing a thick white smoke screen to cover your movement and provide a major strategic advantage. Lasts 1-2 minutes producing 25,000 cft of smoke. 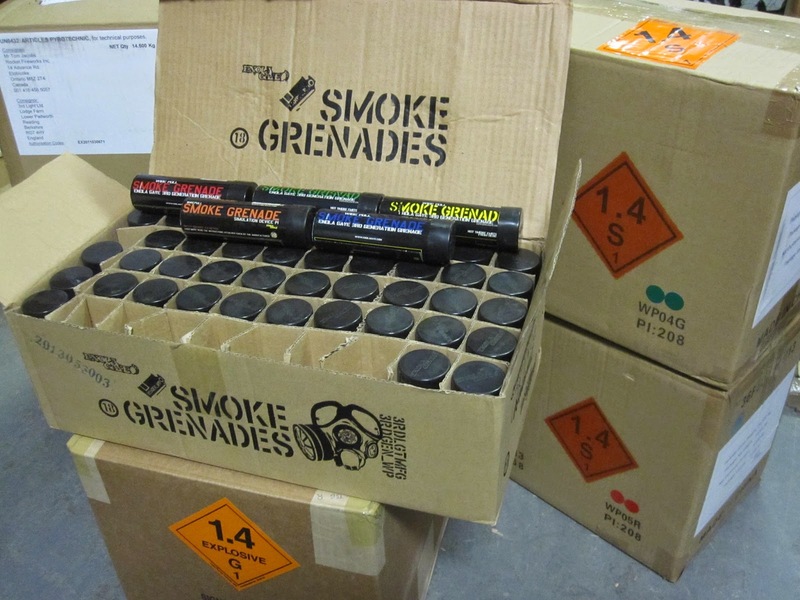 Please note: You must be at least 18 years old to purchase smoke grenades.